In SharePoint site you can see usually a lot of groups. Sometimes administrator gets a task to add user to several groups. If it’s 3-5 groups you can do it manually, but if you need to add user to 30 groups? I’m too lazy to do it manually and too smart not do it at all. Start your windows PowerShell on your computer. Right click and select Run as administrator option. Paste the below script on the PowerShell window and click the enter button. Check your SharePoint site Feature will activated successfully. write-host "------get array of groups which contain a string "admin"-----"
Write-Output "User $userName added to $gr"
This entry was posted in Shared Hosting, SharePoint 2010, SharePoint 2013 Business, SharePoint Tips, SharePoint Tutorial and tagged affordable sharepoint hosting, Best SharePoint Hosting, cheap sharepoint hosting, Recommended SharePoint hosting, Reliable SharePoint Hosting, sharepoint hosting, SharePoint hosting Australia, SharePoint hosting France, SharePoint hosting Germany, SharePoint hosting Hong Kong, SharePoint hosting India, SharePoint hosting Italy, SharePoint hosting Netherlands, SharePoint hosting Recommendation, SharePoint hosting Singapore, SharePoint hosting UK, SharePoint hosting United Kingdom, SharePoint hosting US, Top sharepoint hosting, Trustworthy SharePoint hosting on October 9, 2015 by Kevin Barber. There are situations where you want to propagate one SharePoint web application to some other farm/machine. I feel the fastest way is to take content database backup and restore it in your destination farm. I have done so in last couple of weeks and I have leaned how to quickly do that. I was provided with content database backup and source code. That makes be able to restore site and generate wsps from source code. Restore a database using content database back up from source farm. Sometimes if your database is too large, web application creation takes too long and times out. Don’t worry at all. web application is still created successfully. It happened to me 4 times out of 5. Choose your application and it will show database status and number of site collections. If you are not sure how many site collections are there in backup, anything greater than 0 is good news. In “Site Collections” section click on “Change site collection administrators. After performing all the above steps, it is still possible that you are not able to access your web application. It is always challenging to move applications from one farm to another. Specially when they are depending upon other service applications. In spent last two weeks to learn how to properly do that. I hope this will help you at some point during your sharepoint development. This entry was posted in SharePoint 2010, SharePoint Tips, SharePoint Tutorial and tagged Best SharePoint Hosting, cheap sharepoint hosting, Reliable SharePoint Hosting, SharePoint, sharepoint hosting, Top sharepoint hosting on January 9, 2015 by Micah Richard. SharePoint is a browser based platform that can boost the efficiency and effectiveness of your organization by enhancing communication and collaboration as well as streamlining the management of and access to your data. SharePoint can store your documents in a central, secure location, then allow users to search it for instant access to the data they need. It also enables users to share information across your intranet, whilst ensuring users see only the data that is useful and relevant to them. SharePoint in the cloud brings enhanced document management capabilities to ensure the integrity of documents stored on team sites: the option to require users to checkout documents before editing, the ability to view revisions to documents and restore to previous versions, and the option to set document and item-level security. Moving your content from on-premises storage to the cloud offers many benefits. In this article, we will tell you why you should move your SharePoint to the Cloud? Before beginning your SharePoint migration, determine what information to move to the cloud and what you should leave behind. Weeding out any redundant, outdated or trivial content before the migration should make the process easier, while also controlling costs and mitigating risks. Deciding whether to delete, migrate or archive each piece of content is time-consuming, so look for ways to automate and streamline the process by using simple rules based on date, author and location. To minimize errors and unwelcome surprises during your SharePoint migration, take inventory of the content you plan to move and acknowledge the intricacies of the source before you test or migrate to a new destination. The best way to go about this is to truly investigate your content and acknowledge the different object types involved. This inventory may be very granular, including number of versions, quantity of metadata and associated lookup columns within SharePoint or another site collection. When moving from SharePoint on-premises to SharePoint Online, it’s important to address the different object types and their migration paths. Each object type is going to have a different migration path with its own challenges. In a test migration, you collect a smaller set of files from the source and move it to the destination, and then make sure all the attributes that you want come over with the files. It also gives you a chance to address any errors and complications, and test the transfer speed. Testing by object type helps you acknowledge the types of content and objects that have to move and any complexities you may run into with each of them. Cloud migrations tend to take longer than migrating between two SharePoint on-premises systems. While cloud migration tools may claim to transfer a gigabyte per hour, your actual speed depends on a number of factors and network complexities. Moving data between completely separate data centers may result in low transfer rates, around 100 MB or 250 MB per hour. When you’re dealing with terabytes of data, such a slow rate could put you behind schedule. That’s why it’s important to look for ways to speed up the process. In the end, to get the best results from your SharePoint migration, it’s important to set appropriate expectations and timeframes. For example, content cleanup may take considerable time depending on your information, cleanup goals and strategy. But considering the potential benefits of streamlining the migration and improving system performance, there’s no sense in cutting corners. 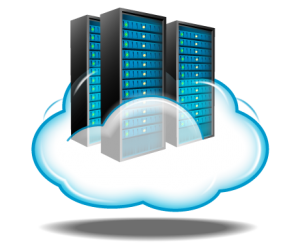 Are you looking for a recommended hosting provider for your new cloud server? 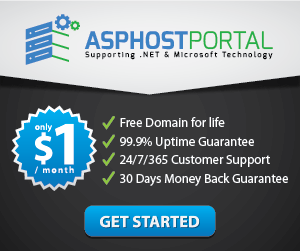 ASPHostPortal.com is the answer. 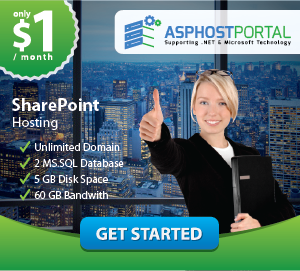 With Windows Dedicated Cloud Server Services from ASPHostPortal.com, you’ll find the perfect Cloud Server solution for your business. Web pages will load faster for ecommerce customers, databases will get higher IOPS and applications streaming large volumes of video and media files will experience low latency when customers run their applications. With cloud servers, you have the ability to upgrade and downgrade your servers on the fly. In some cases depending on the Operating System running on the cloud server it may still require a reboot. Migrating your cloud server to a different physical server can usually be accomplished with no downtime via hot migration. This entry was posted in SharePoint Tips and tagged best Sharepoint 2013 cloud server, Cheap Sharepoint 2013 cloud server, cloud server recommendation, Recommended Sharepoint 2013 cloud server, Sharepoint 2013 cloud server, Top sharepoint hosting on September 4, 2014 by Kevin Barber.